Corrie and I went out to the grocery with the kids and we found ourselves in a little bit of a dilemma. It happens often actually, but as we got home the kids fell asleep in the car. Normally we leave them be, and can be a great way to catch up on some e-mails, social media, watch a movie or even hit the drive-thru and get a meal! To think you could do all that with 4 kids and not even have to leave your vehicle is a great hack itself! But sometimes you have somethings to do, and often enough you need to let your baby nap! Or else, it’s continued chaos for the rest of the day with cranky children. When you have multiples, you need to take advantage of every chance you get in letting your kids nap ESPECIALLY AT THE SAME TIME! Inspired by a friend through a fun conversation about our children. The idea to remove your child while still in the car seat came to me as a genius idea! 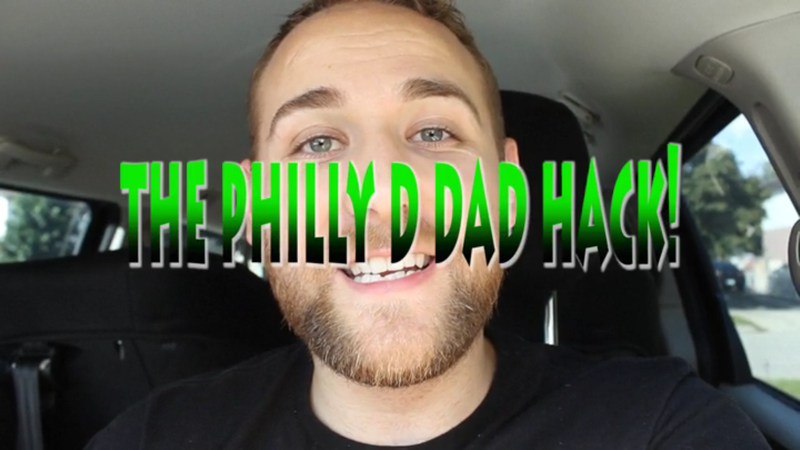 Watch me perform the ULTIMATE DAD HACK! Click the link below to watch such greatness! It’s Finally Here…Time for Potty Training!